Thanks Connor for the very nice feature and I will post in the group! Wow! Love it! - so weird to see this after I have such a similar stance and background in White Buffalo! How close were you to him? Thanks for the good comment and I took it from the car and it was about 50 feet. A close up of a buffalo. 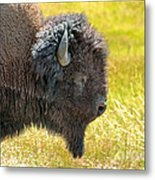 The Yellowstone wild, free, roaming buffalo are a unique wildlife resource to Montana and the nation. Certainly we can fashion a Montana solution that shares the land with our buffalo and their annual movements without slaughtering them when they step into Montana. 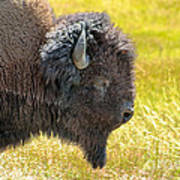 Buffalo provided food, clothing, and shelter for the Indians. They fed the explorer and railroad builder. 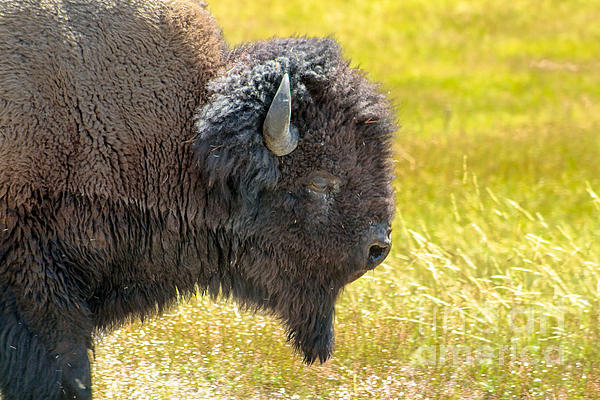 Without the buffalo, the West would have been a land of starvation. 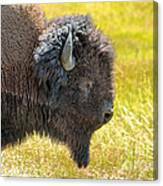 It is only right that we make a permanent place for them in Montana, managed as wildlife.